Roofs all over the northwestern Minneapolis metro area are going to get hit hard this storm season. That also means that storm-chasing contractors are going to be hitting neighborhoods hard in an effort to make a quick buck. While their prices and quick project turnaround may look tempting at first glance, homeowners could actually run into more headaches than it’s worth with these out of town contractors. In this blog, read about how working with a local contractor is different. 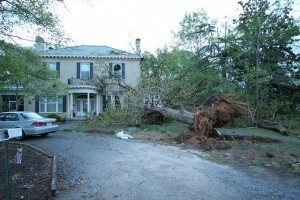 We’ll work with you through every step of the process should you encounter storm damage this year. We’ll come out to your house and provide you with a free storm damage inspection. If we find damage, we’ll work with your insurance provider to ensure the claim is handled smoothly. The heat of the summer is here and severe storms are inevitable. Keep our information handy and pass it around your neighborhood so everyone you know is prepared when storm damage happens. Connect with us on Facebook and follow us on Houzz and Pinterest to view our recent projects and quality craftsmanship!